HealthForumOnline (HFO) announces the addition of a new online continuing education (CE/CEU) course entitled Crisis Response: The Fundamental Principles and Ethical Considerations of Psychological First Aid to their extensive library of nationally-approved CE/CEU courses for psychologists, social workers, counselors, and nurses. The theory and ethical practice of crisis response on the part of mental health providers has passed through a progression of stages during the past century. HFO’s new online continuing education (CE/CEU) course presents the theoretical and historical underpinnings of psychological first aid and guides professionals in the ethical provision of immediate support to those in a crisis situation. Each of HFO’s over 80 online CE/CEU courses are fast, convenient and especially cost-effective as health professionals have free ongoing access to course updates beyond completion of the CE activity. The treatment modalities for crisis-related stress disorders have evolved, along with the recognition that these disorders are not confined to the battlefield. 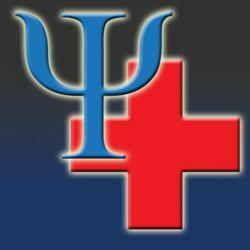 Psychological First Aid represents the most recent chapter in the evolution of crisis response. HealthForumOnline (HFO), a nationally-approved (APA, ASWB, NBCC, PSNA, CA-BBS) provider of online continuing education (CE) for psychologists, social workers, counselors, nurses and other allied healthcare professionals announces the addition of a new online CE/CEU course, Crisis Response: The Fundamental Principles and Ethical Considerations of Psychological First Aid to their extensive online CE resource library. Psychological first aid (PFA) is an early intervention approach which is used to assist people in the immediate aftermath of crisis, disaster or trauma, to help prevent long-term psychological traumatization, and to encourage those involved in the crisis to cope with the current situation and eventually to begin looking toward the future. The theory and practice of crisis response on the part of mental health providers has passed through a progression of stages during the past century. First developed within a military context, crisis response consisted of an often harsh treatment approach, even on the part of military health care providers, toward personnel suffering from what was called shell shock. Through the decades, the treatment modalities for crisis-related stress disorders have evolved, along with the recognition that stress-related disorders are not confined to the battlefield. PFA represents the most recent chapter in the evolution of crisis response. Like its predecessor medical first aid, PFA provides training in skills appropriate for professionals as well as nonmedical/nonclinical laypersons by emphasizing meeting immediate needs, screening for more serious emotional responses, and making higher level referrals when necessary. Thus, PFA services can be expanded to include a broader pool of trainees. In this online CE course, participants are introduced to the factors affecting stress responses in crisis situations, the principles of PFA and the application of these principles in a crisis response context – natural and man-made. Specifically, the historical and theoretical underpinnings of PFA are presented. Ways to identify symptoms of stress in clients and colleagues, as well as themselves, within the crisis situation and crisis response context are discussed along with guidelines for providing immediate support to those exhibiting symptoms of stress. Lastly, participants will be able to recognize the parameters of PFA and determine when additional mental health support is necessary, for both professionals and clients, and facilitate referrals. This is the second online continuing education course for HFO by author Julia Cochran, Ph.D., LPC. In her first online CE course for HealthForumonline, Effective Therapy Techniques for Persons Diagnosed With Autism Spectrum Disorders and Their Families, Dr. Cochran addresses the steady increase in the number of persons diagnosed with intellectual and developmental disorders (IDD), largely due to the rising notoriety of Autism Spectrum Disorders, which fall within the IDD category. The course presents the basic definitions and maladaptive behaviors associated with IDDs and reviews in-depth, practical applications of evidenced-based behavior management, psychoeducation, and family therapy techniques for families dealing with intellectual and developmental disorders. Psychologists, social workers, counselors, nurses and other allied health professionals can chose from HFO’s 19 categories of continuing education (CE) topics related to health psychology and behavioral medicine (i.e., ethics, cancer adaptation, women’s health, cultural diversity, eating disorders, reproduction/sexuality, aging/gerontology, pediatric behavioral medicine, assessment, chemical dependency, chronic/acute illness, clinical intervention, group therapy, infectious disease, long-term care, neuropsychology, pain management, spirituality/mindfulness, LGBT issues) containing over 80 online CE courses that are fast, convenient and cost-effective. For more information on this course or a complete listing of titles in our online CE resource library, visit HealthForumOnline.com. HealthForumOnline (HFO) is approved as a provider of CE courses by the American Psychological Association, the National Board of Certified Counselors, the Association of Social Work Boards, and several state professional organizations, including the Pennsylvania State Nurses Association, an accredited approver by the American Nurses Credentialing Center’s Commission on Accreditation, and the California Board of Behavioral Sciences. HFO’s CE Program’s Advisory Committee and authors are comprised of over 60 nationally-recognized experts in behavioral medicine.